from Amazon @ $73.35 ea. 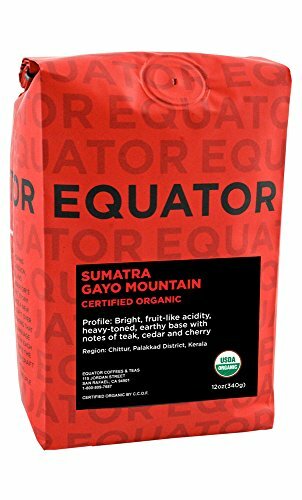 This triple-picked Sumatra has a bit of bright, fruit-like acidity that shines through the heavy-toned, earthy base. Notes of teak, cedar and cherry fruit emerge from the cup. $9.95 USPS Priority shipping. Additional coffees from GoCoffeeGo ship for $3.50 regular or $7.70 bulk. Top Award Winning Artisan Roasters and their coffees are at GoCoffeeGo. Notes: Teak, cedar and cherry fruit emerge from the cup.